So many of you enjoyed the October calendar freebie that I’m offering one for November. It’s a sample of the 2019 Quick-View calendar that will be available within the next week. Major events have their own table with the Moon signs noted. 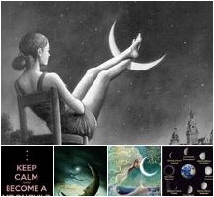 Themes for the New Moon’s sign are listed next to a space for your New Moon wishes. If you’re looking for a specific sign/phase time for magickal workings, they’re easy to find in the sign and phase tables. Note that astronomical Samhain is on November 7th this year, same day as the New Moon. Astronomical Samhain is when the Sun reaches 15º of Scorpio. If you love this holiday, it’s not over on October 31st. Here’s how the Moon Signs table works: When does the Moon move into Leo? Go to the Leo column and note the first date, then the time. In this example, the Moon is in Leo twice this month. The first time is on the 1-2. Since there is no time listed below the dates, the Moon entered Leo during October and was still in Leo when the month of November began. The second time the Moon is in Leo is from the 27-29. The time below the dates lets us know that the Moon entered Leo at 3:05am (ET) on the 27th. The squares are colored blue, letting us know that the Moon is waning. If we go to the Phases table, we can see that the Moon was in the Last Quarter phase on the days the Moon is first in Leo (Nov 1-2) and in the Disseminating phase at the end of the month. I hope you enjoy the calendar and find it helpful. Watch for the announcement that the 2019 Quick-View calendar is available for purchase. It has even more features than the monthly calendars. It’s a super addition to your 2019 journal or as a quick reference in your BOS. 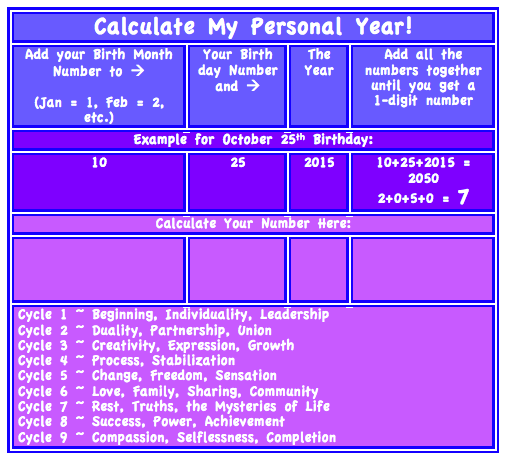 Want to see your natal Moon sign days all in one handy calendar? Order a Moon Days Calendar for 2019 just for your Moon sign. They’ll be available within the next week, too.